Joomla Virtuemart Buy Again: Joomla Virtuemart Buy Again is another Virtuemart addons designed in such a smart way so that buyers can easily place an order for the same product(s) that he has purchased in the past. 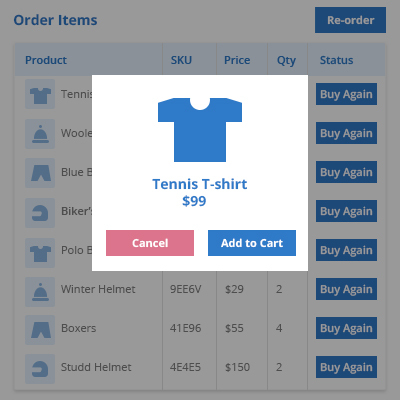 This addon also increase the probability of more sell, since buyer can easily find the previous order(s) made by him/her and after a long time if a buyer wants then he/she can order the same product without even remembering the product name and other details related to the product(s). 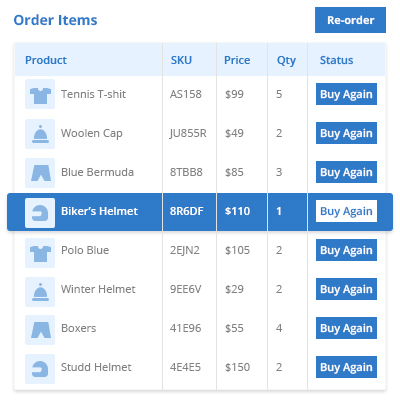 The plugin increase the probability of existing buyer's repetitive shopping behaviour and also the plugin provides a feature of easy to re-order from order list. Did you buy Joomla Virtuemart Buy Again?